Fabiana Fillipi is a master of producing garments that are both stunning and comfortable, and mixed fabric off-the-shoulder top is an unforgettable addition to Fillipi's spring collection. 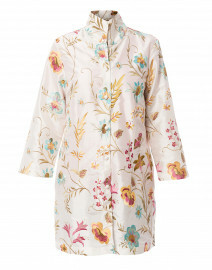 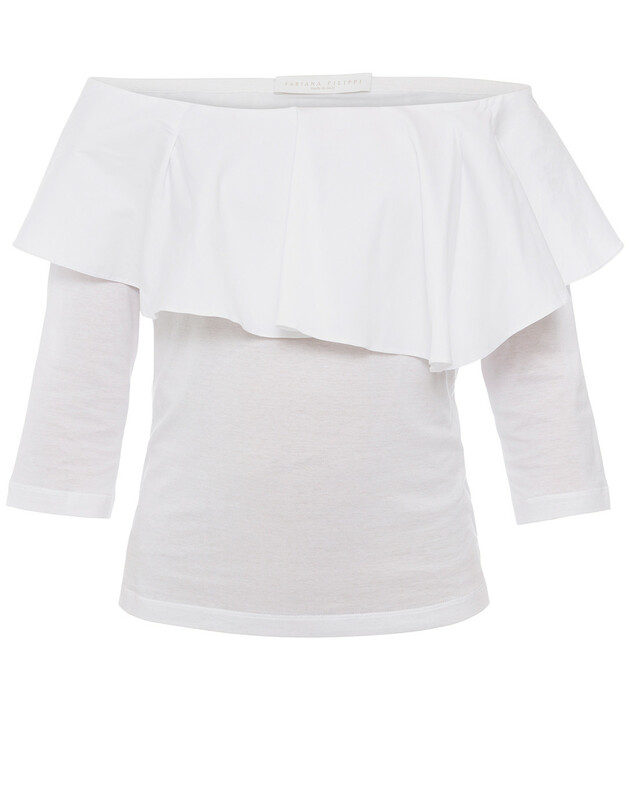 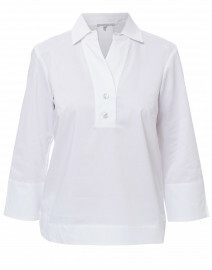 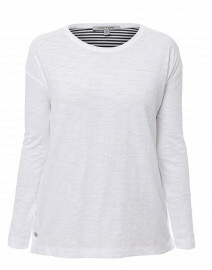 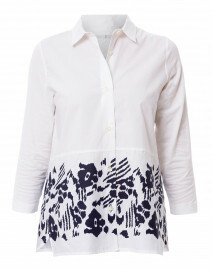 Featuring 3/4th length sleeves and a unique poplin overlay, this Italian made top is a must have for springtime. 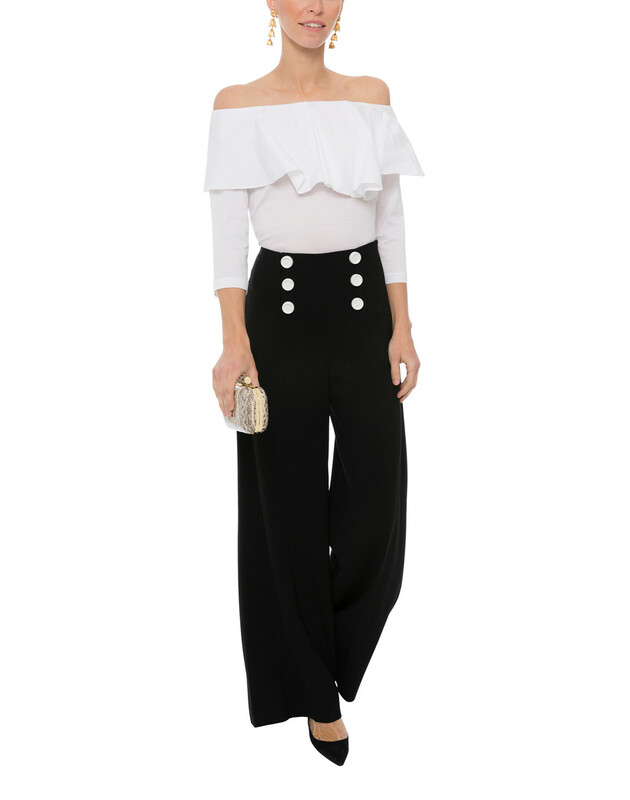 Tuck into a pair of high waisted trousers for a chic look. 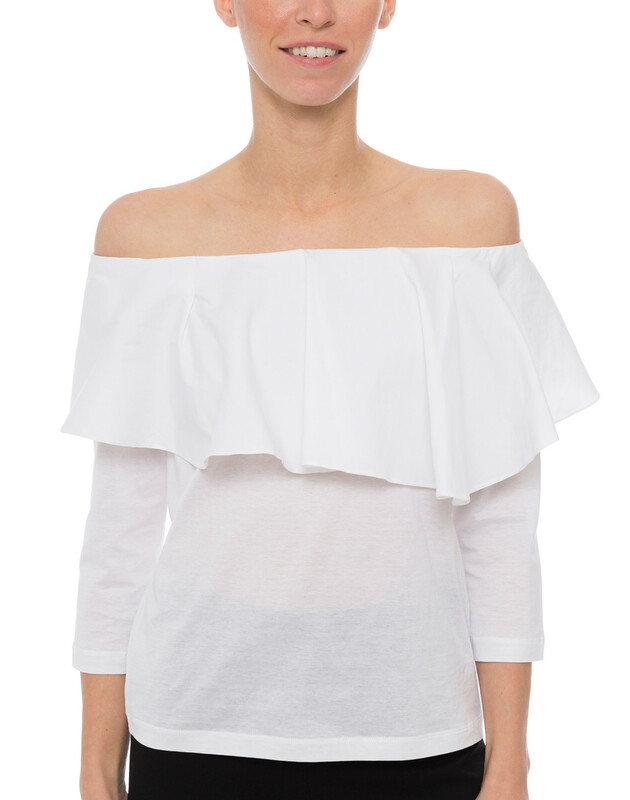 Length 18" 19" 19.5" 20" 21" 21.5"
Shoulder Width 16.5" 17" 18" 19" 19.5" 20"
Bust 34" 36" 38" 40" 42" 43"
Waist 34" 36" 38" 40" 42" 43"
Hip 34" 36" 38" 40" 42" 43"
Sleeve Length 16" 16" 16.5" 16.5" 17" 17.5"